Since I was not able to post on Thursday, and I have made myself a promise to post daily, going forward, so here is a recipe for Berry Vodka Sunrise, submitted by Nick Guillory and Jessica Maroney/Tasty. 1. Combine vodka, orange juice, and sparkling water in a pitcher. 2. Stir in the fresh oranges and set aside. 3. Puree mixed berries, tart cherry juice, and maraschino cherry liquid in a blender or food processor. 4. Strain the purée through a sieve into a separate pitcher. 5. When ready to serve, pour orange vodka mixture into a glass of ice, leaving some room. 6. Top off the drink with the berry liquid and watch it settle to the bottom. 7. Garnish with an orange and a maraschino cherry. 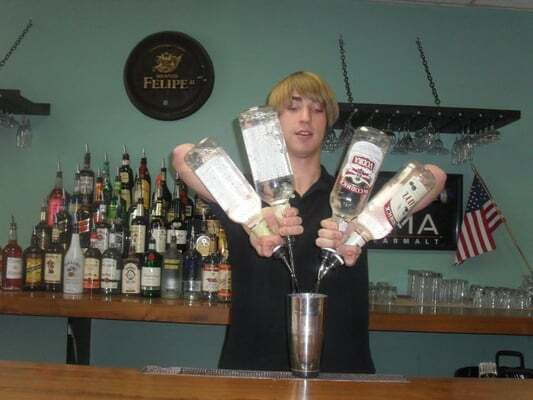 Have you ever been out at a social event where the bartender is just off the chain with skills? 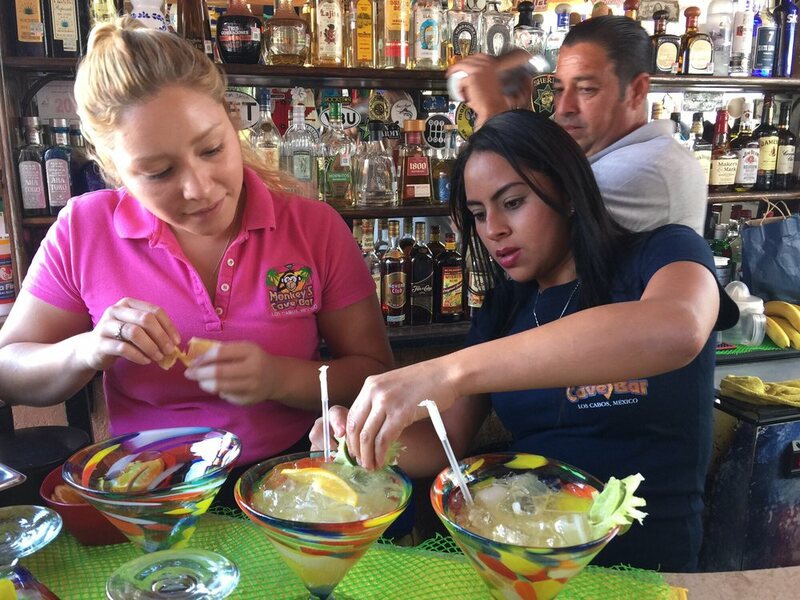 I’m not talking about your neighborhood bar where the bartender’s skills are limited to mixing simple drinks like Bacardi and Coke. No, I am referring to real skills where the bartender show-boats with the multiple bottles of alcohol, tower glass pour and decorative drinks that are too pretty to drink. Ever wonder how they do it? Ever wish you were able to do at least one of those cool feats? Well, wonder and wish no more. Here’s a “Rainbow Shots,” recipe from the Tipsy Bartender, that you can do at your next function sure to impress your friends, (with a little practice of course). Please excuse my lateness, and lack of posting recipes, but shyt happens, LOL! I am running way behind schedule today, so I am going to post something very simple and hopefully something I have not posted previously. I recently remodeled my office and there are still things that have not gotten filed away, labeled or even covered with contact paper. A slow process but I am diligently working on it. While surfing on FaceBook the other day, I came across this Tasty Recipe and I knew that I had to share it with you guys today. OMG! Doesn’t it look delicious? I cannot wait to try it myself. 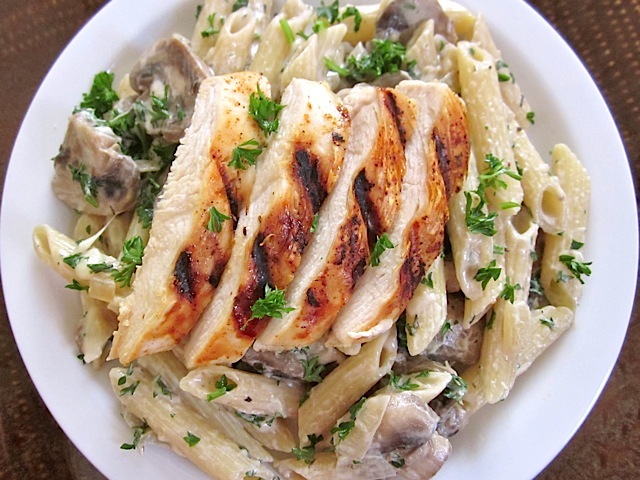 This recipe comes courtesy of Matthew Francis Johnson and Tasty. Please do let me know if you tried this or any of the recipes I’ve shared with you. I would love to know how it turned out and if it tastes as good as it looks. Oh, and don’t forget to take plenty of pictures and email them to me at depurpleladyshares@gmail.com. Bon Appetite, Lois! 2. Slice biscuits into 8 pieces and place in a greased baking dish. 3. In a saucepan on medium heat, combine strawberry filling ingredients and cook until it reaches a boil. Reduce heat to a simmer and continue to cook until filling reaches a smooth consistency. Remove from heat and set aside. 4. Combine egg mixture ingredients in a large bowl and spread evenly on top of biscuits in the baking dish. Top with strawberry filling and fresh strawberries. 5. Bake for 40-50 minutes, or until golden brown. 6. Garnish with whipped cream.